What if we play in textures inspired in the game itself? As we have the new mod Portal Gun update. 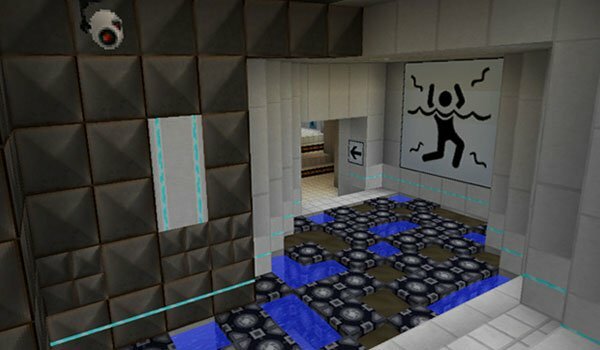 Precisely Portal Pack 1.8 is a texture pack that has two resolutions, first of 16x and 32x on the other. We show you the 32x version, with which we can enjoy some more definition. As we said this texture pack is designed and developed to give more atmosphere to Portal Gun Mod. ¿How to install Precisely Portal Texture Pack for Minecraft 1.8? Paste the download file inside of: resourcepacks. Enjoy the textures of Minecraft Portal! hey can anybody tell me how to patch it becouse it says it has a conflict with the portal mod and minecraft forge.